Most Google Now cards, like its flight information card, are designed to make you more efficient, but Google’s newest addition actually encourages you to waste time. The new cards will suggest you take a detour to check out “nearby discoveries,” which are businesses or points of interest that are worth checking out. The suggestions come from a somewhat forgotten [company]Google[/company] app called Field Trip that’s currently available for iOS and Android. There is also a very cool implementation of Field Trip on Google Glass. But the feature is simply a great fit for Google Now, and there are a lot more people out there with a Google Now on their phone than the Field Trip app or a pair of Google Glass. While Google Now has provided nearby attraction cards for ages, Field Trip’s database has much more detailed info on architecture, points of interest off the beaten path, and current restaurants. While Field Trip could be a great feature for travelers passing landmarks they might not even know were there, it’s businesses that should be the most excited. The Field Trip cards could end up driving sales: Google Now’s contextual nature means that it will suggest businesses to mobile passerby who are actually in a position to stop by and spend money. 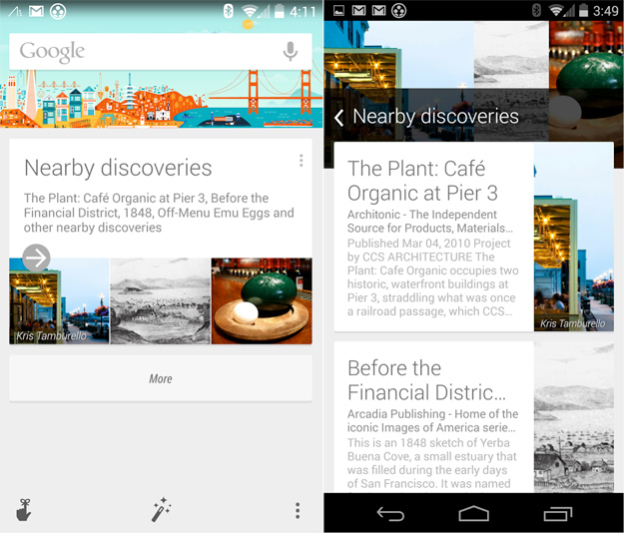 Google Now continues to gain features at a rapid clip. Earlier this week, the card for flights was updated to offer alternatives in the case of a cancellation, and Google added cards for bus and train travel as well. A few weeks ago Google started suggesting nearby restaurants if you stay in a hotel. No longer is Google Now simply providing information you already know in a handy way — now it’s providing information you didn’t even know you wanted. 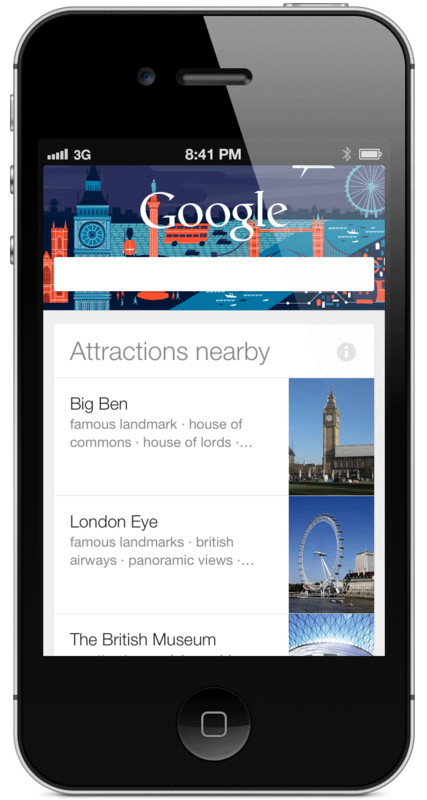 The Field Trip feature is currently rolling out through Google Search on iOS and Android.